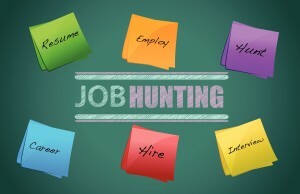 While it is often true that the presently-employed have a greater chance of receiving job offers when applying for positions, finding the time, energy and intentionality to balance working and job-searching can be taxing. Whether you are seeking a greater challenge, a more competitive salary, a more suitable location, greater stability, or the opportunity to move upward, the incentives for knowing your market are high. The first thing to remember while searching for your new position is to honor your current employer. Advertising that you are looking will disgruntle other members of your team and trigger a negative response from your leadership. If you are a valuable, accomplished employee, notifying your management of your eventual job offer could trigger a counter-offer. You eliminate this possibility if you are distasteful on your way out. You could even cause your employer to begin seeking your replacement before you’re ready to move on. In that same vein, it is best to keep your work and your job hunt completely separate. When at work, focus on work and when you are job hunting, focus entirely on job hunting. Searching for greener grass while you’re on the job is not only time theft but will likely hurt you in the long run. You may end up keeping your current position for the long haul and find yourself behind from placing one foot out the door, and you may draw negative attention and create a hostile work environment. Searching for a new job on company time is simply wrong, and if you are found out, run the risk of losing your employment or certainly an amazing referral for that next employer. One way to keep your tasks separated is to contact a recruiter. While you work your nine to five, they are working theirs – searching for a better position for you. Working with a recruiter is typically free to you and it will allow you to focus on work at work, home at home and job searching as jobs become available. It will also make your job searching less stressful as recruiters come to you with positions they have found and it is in their best interest to find you a better position than your current one.